At Modern Tux you’ll get nothing but the highest level of quality and service. Owner Maja Pederson is a proud Pittsburgher who calls Greensburg home, and she truly enjoys taking care of her customers. It’s the kind of personalized service you just can’t find at a big chain store. Everyone, from our sales staff to our professional on-site tailors, is passionate about the business and will go above and beyond to make sure that you’re satisfied and looking fabulous for your prom, wedding, or other special occasion. Simply put, we’re the best at what we do. 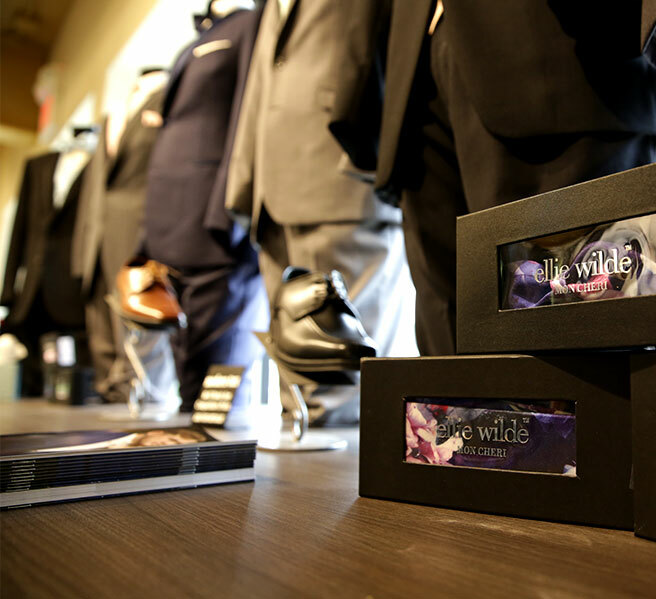 A One-Stop Tuxedo Shop, inside the MBBride experience. When you’re getting ready for your wedding, prom, or other special occasion, you don’t want to have to drive around from store to store to get everything you need. 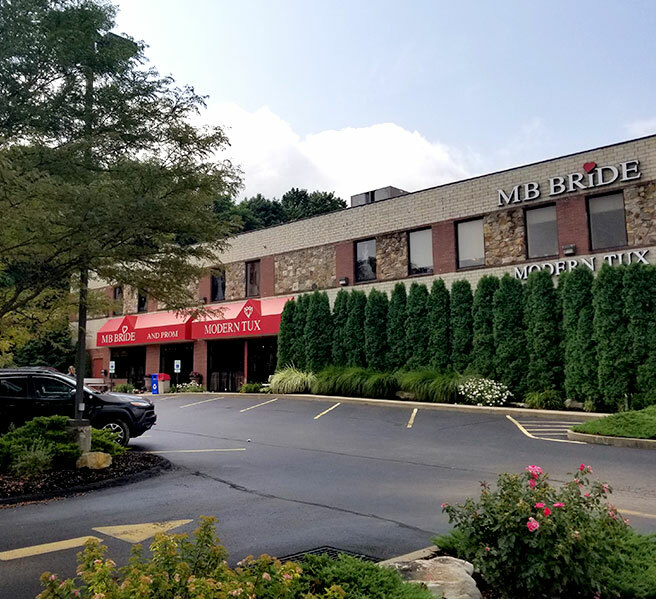 At Modern Tux, we not only rent and sell tuxedos, we're part of the complete bridal and prom experience called MBBride. That means we have an entire warehouse of tuxedos and accessories from all the big-name designers, and our professional, on-site tailors ensure a perfect fit every time. Need something last minute? From shirts, vests, and cummerbunds, to bowties and stud sets…we got you covered. Don’t worry—we’ll take care of everything.